As a teenager in the 1980s, one of the ‘must-see’ TV Series was Robin of Sherwood. This retelling of the legend of Robin Hood gave the story a distinct fantasy twist. I came late to the series, only seeing the series from “The Swords of Wayland”, although I soon caught up with it on VHS. In short, I loved it, and was gutted when the series was ended prematurely when Goldcrest (the production company who made the series) went bust. I know the tale has been told since, but I’m sorry, the more recent BBC series was not in the same league. 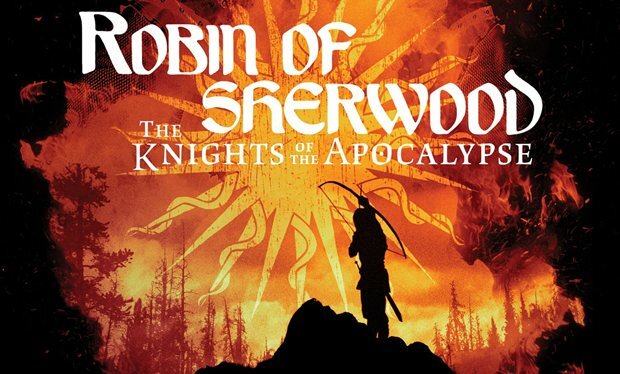 Move ahead 30 years or so, and production company Spiteful Puppet has just released a brand new 2 hour audio drama – Robin of Sherwood: The Knights of the Apocalypse – with almost all of the entire original cast back in place. I’ve only had chance to listen to a few minutes so far, but its already great stuff. Obviously the nostalgia factor is high, but the production sounds excellent. The drama is available as a digital download or on CD. The range has been steadily expanding, and now has a great selection of heroes and villains. This new media release is likely to rekindle interest in Robin of Sherwood – its certainly pushed these miniatures near to the top of my shopping list. Awesome! Thanks for posting this. I loved this series and it’s such a shame that it suffered from financial difficulties.